Condoms are not a modern day innovation. Its one of the oldest forms of contraception that found its place in history. Its history can be traced back to several thousand years to Ancient Egypt. Read on to know all about it. According to a research, the ancient Egyptians around 1000 BC used a linen sheath for protection against disease. The earliest evidence of condom use in Europe comes from scenes in cave paintings at Combarelles in France. There is also some evidence that some form of condom was used in imperial Rome. These condoms were made of leather, in the shape of a pouch, closed at one end. In Japan condoms were either made from leather or from tortoise shell. However, there was no lubricant used with the first use of condoms. One of the first improvement on condoms was made only in the 14th century, when the linen cloth sheaths were sometimes soaked in a chemical solution and then allowed to dry prior to use. It was mainly invented to protect men against syphilis, which was greatly feared and devastating prior to the discovery of antibiotic drugs. 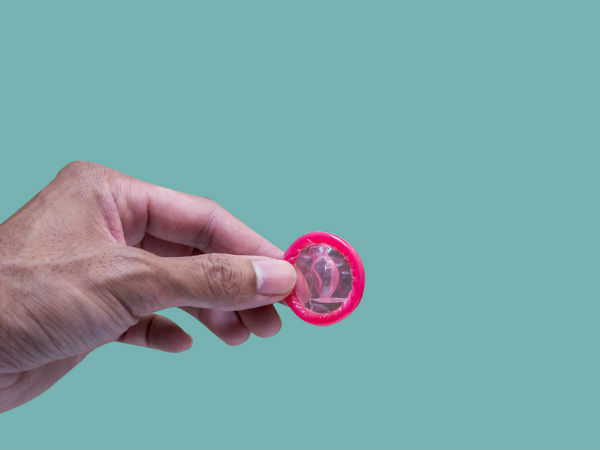 Having been found useful for prevention of infection, it was only later that the usefulness of the condom for the prevention of pregnancy was recognized. Historians trace back two possible methods on how the name condoms was found. It may be derived from Condus, the Latin for receptacle. Or it may have got its name from the physician of Charles II of England, Dr Condom or Quondam, who made his king sheaths of animal gut, to prevent the king from fathering illegitimate children. Regardless of how and why the name came from, it is clear that condoms were being widely used in Europe by the middle of the 16th century. Various writers have made references on using one. For instance, James Boswell, a Scottish lawyer and writer, who used a linen condom to protect himself against infection, Casanova, Europe's most famous lover used a 'Redingote Anglaise' (English Riding Coat) to protect himself against disease and to prevent conception. In the early 17th century, the condoms made of animal intestine became popular, as they were more effective than the linen type. However these were quite expensive, and thus often used by the elite people. These condoms were often reused, making them more likely to pass disease on to partners. After few years this even led to the concept of the specialized condom shop. Research states that in London two ladies, Mrs. Perkins and Mrs. Phillips, had competing condom supply shops and sold bladders, sheaths and other contraceptive devices to apothecaries and well-heeled condom users. Another lady operated a second-hand condom business selling washed condoms to the less well-to-do. The revolutionary rubber vulcanisation process invented by Goodyear and Hancock, ended the production of gut condoms in early 1840s. Vulcanization is the method or process of treating crude rubber with sulphur and subjecting it to intense heat. This process turns the rubber into a strong elastic material. The revolutionary rubber vulcanisation process invented by Goodyear and Hancock, made it possible to mass produce more reliable and less expensive products including condoms. Vulcanization is the method or process of treating crude rubber with sulphur and subjecting it to intense heat. This process turns the rubber into a strong elastic material. This discovery meant that a much more user-friendly type of condom could be manufactured quickly and cheaply. These rubber condoms were more elastic and did not tear easily. However it wasn't the perfect invention as it was much like an inner tube, and had a seam down one side. New technology, liquid latex manufacturing supersedes crepe rubber in the 20th century. In the early 20th century, Frederick Killian started using a hand-dipping process using natural rubber latex. The resulting latex condoms were far superior to their rubber predecessors. They were thinner, more elastic, did not age as quickly and were odorless. 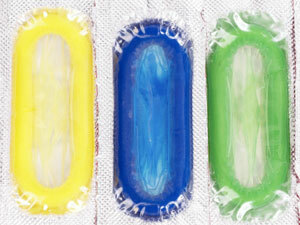 Within ten years, American manufacturers were producing more than 1.5 million latex condoms a day. It is still the basis for manufacture till date. Today, there are various type of condoms manufactured with varying size, shape, length, strength, color, flavor etc, to lure users and help them enjoy the love making experience at its maximum.